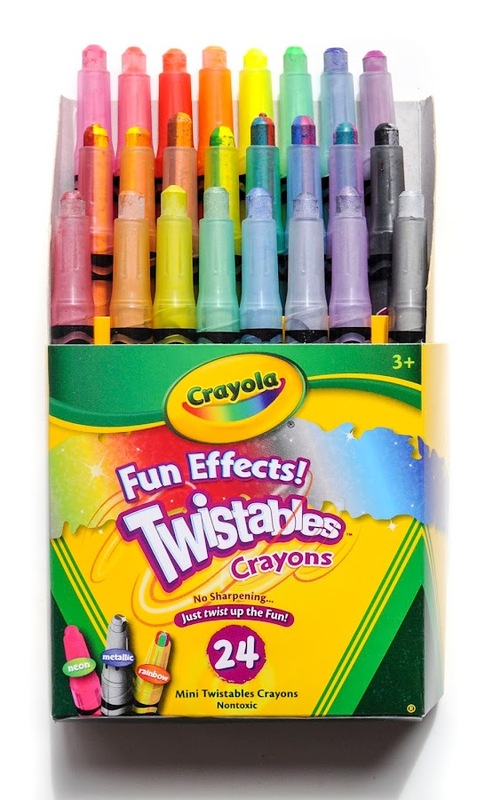 Crayola has many different Twistable crayon sets. The Crayola Fun Effects! 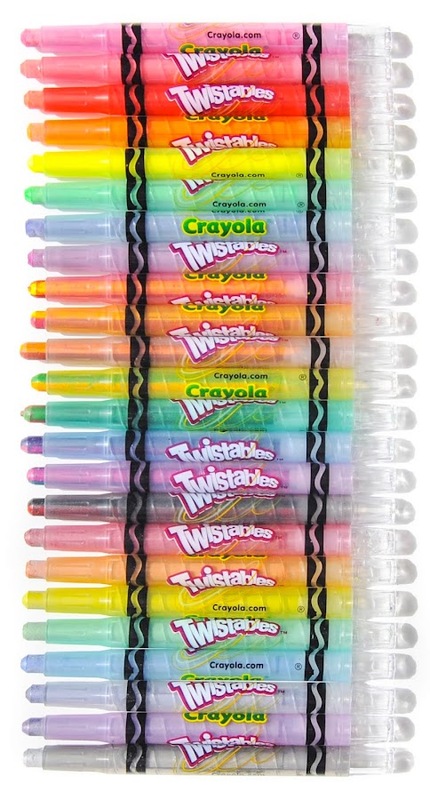 Twistables crayons contain 8 neon crayons, 8 metallic crayons, and 8 rainbow crayons. The rainbow crayons consist of 4 colors. I call them quad color. Crayola has made other multi color art supplies, True to Life Colored Pencils and Tri-Color Markers. The multi color produces a fun effect on the paper which really excites kiddos. The neon and metallic colors are also really fun to color with. I definitely recommend this over the standard Twistables pack. What's inside the box: Crayons not individually labeled or labeled on the back. 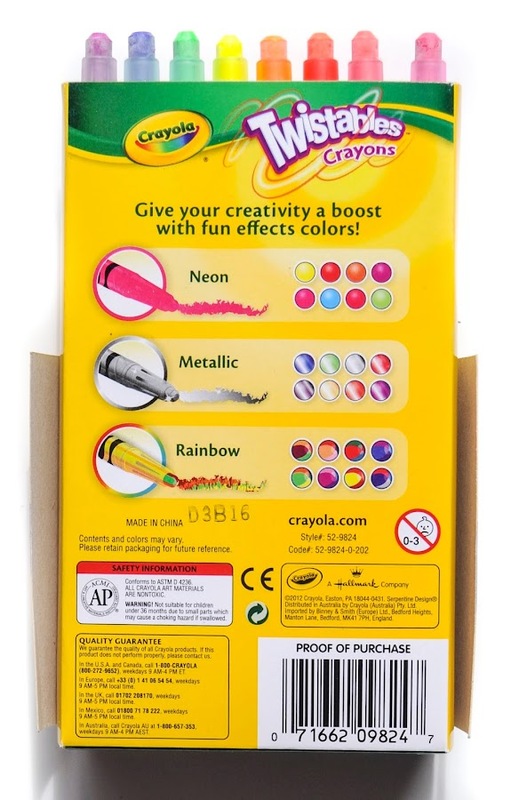 The back of the box specifies there are Neon, Metals and Rainbow crayons.